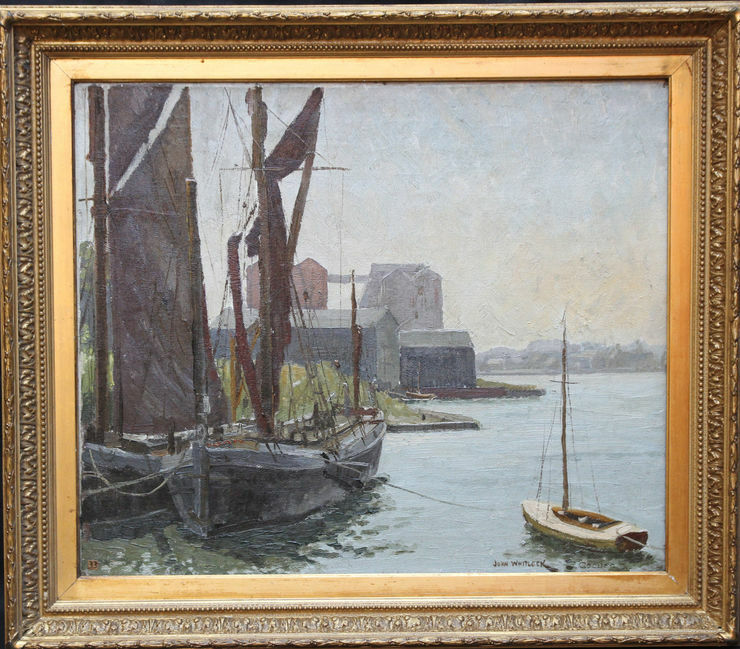 An original oil on canvas by John Whitlock Codner which was an exhibited work and still retains the Bourlet exhibition transit labels verso. 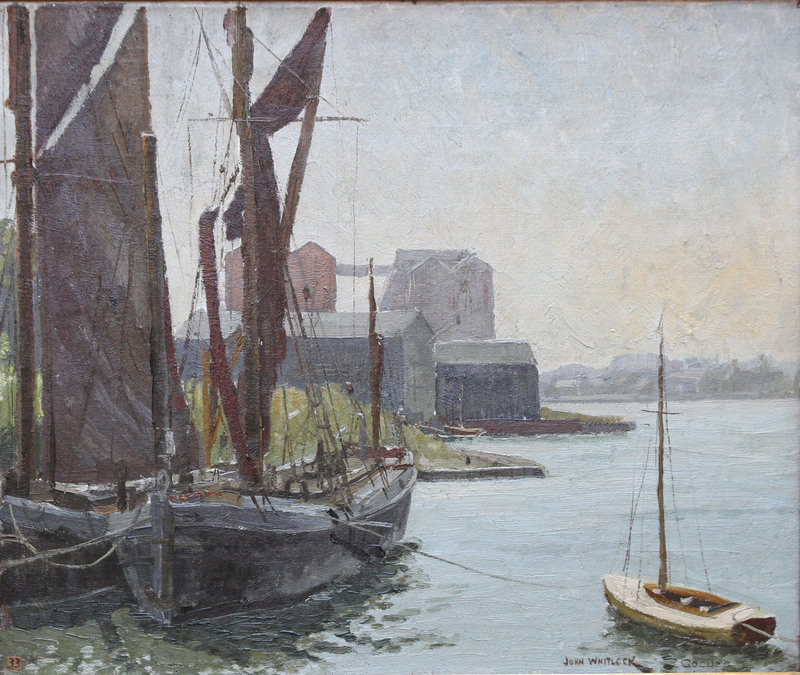 This marine landscape depicts Abandoned Thames Barges at Mistley near Mannington on Stour in Harwick in Essex. The painting is signed and dates to 1938.